Are You a Gen X Mom? Enter your email address to subscribe to Gen X Moms and receive notifications of new posts by email. Gen X Moms has moved to www.GenXMomsBlog.com. Don’t forget to update your bookmark! The Moms agree that there have to be some serious Gen Xers behind the scenes of Glee, and this week’s episode (May 18th) was proof positive if ever proof was needed. And if you need proof, I am here to provide it for you. Because I took notes. Yeah, I actually took notes. As a reminder, Generation X is defined as the generation of people born between 1965 and 1980. If you think you might be a Gen X Mom, go ahead and take our “Are You a Gen X Mom?” quiz and see how you do. Of course a 15-year span for a “generation” includes a wide variety of people, but essentially, Gen Xers came of age in the 80s. It was a decade of great fashion, great hair, great movies, and great music. And something that great deserves to be celebrated by Glee. This week’s episode could not possibly fail with a guest star like Neil Patrick Harris as school board member Bryan Ryan. What Gen Xer doesn’t think fondly of our favorite pint-sized doctor? NPH has gone on to do some awesome work since then, but we Gen Xers don’t forget our roots. 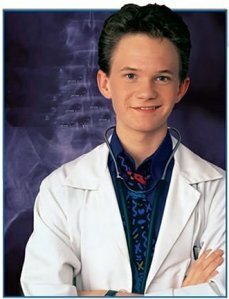 He’ll always be part-Doogie to us. And Dr. Horrible to many others. I’m sure the Dr. Horrible fans didn’t miss the scene with NPH in the “home ec” classroom that looked suspiciously like a chem lab. Joss Whedon was this week’s director, which asks the chicken and the egg question–did Neil Patrick Harris bring in Joss Whedon, or did Joss Whedon bring in NPH? Either way, Joss is right on the cusp of Gen X himself, and his father was a writer for that 80s classic, Golden Girls, so he’s well-versed in the art form of the 80s. At any rate, Gen Xers geared up for a Gleeful 80s episode were not disappointed. The flashback of Bryan Ryan and Mr. Shue in high school with mullets, braces, and Bill Cosby-esque sweaters was delightful, not to mention when they shared a beer at the bar and belted out a fabulous duo of “Piano Man.” What Gen Xer doesn’t love the smooth stylings of 70s and 80s superstar Billy Joel? Tell me you didn’t cringe and laugh at the same time when Bryan pulled out jeans jackets with rhinestones and declared them to be “Rad!” The cringing was because I used to own a jeans jacket–no, mine didn’t have rhinestones, but it was Guess brand. And nobody dressed the 80s like Guess jeans. 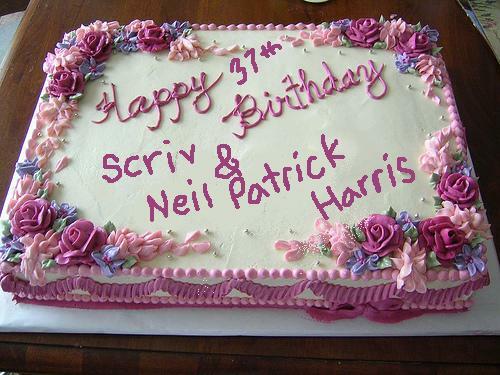 Incidentally, I’ve always felt a special kinship with Neil Patrick Harris because he and I share the same birthday, right down to the year. Yes, apparently June 15, 1973 was a magical day for the world, as both I and NPH were brought into it. I was a bit dismayed at Glee when Mr. Shue mentioned “Sectionals 1992,” since I know for a fact that unless he was held back a year, Neil Patrick Harris graduated with the class of 1991. And nobody held Doogie Howser back in school, but I’ll let that slide because I like Glee so much. And speak of awesome to the max–Dream On? Words cannot describe the epic moment of that number. Moving to Rachel’s corner, musical theater in the 80s were defined by three mega-hits. Andrew Lloyd Webber’s Cats (1982) and Phantom of the Opera (1986) and right there in the middle of the decade, 1985, Les Miserables. And it was right there from the libretto of Les Mis where we heard the haunting and deeply emotional “I Dreamed A Dream” (I cried. And cried.). In addition to being a touching moment, it was also a classic Gen X moment. Ladies and Gentlemen, keep an eye out for upcoming songs from Cats and Phantom. The Scriv called it first here on Gen X Moms. And any tribute to the 80s would be remiss without mentioning the best movie of all time, ever: The Princess Bride. Yes, I can quote the whole movie. Can’t you? Now as soon as Jesse St. James popped up on screen I’ve been saying, “He looks just like Cary Elwes!” Mr. Elwes, of course, played Westley in the Princess Bride. Although Train Guy keeps looking at me skeptically every time I say it, there is an uncanny resemblence between Westley and Jesse St. James. It’s not just in the face, but in the mannerisms as well. Seriously–watch your copy of The Princess Bride (OMG BLU-RAY!!!) and tell me you don’t see the similarity. And maybe this one’s a stretch, but check out the scene in the library where Rachel is making the argument for Patti LuPone being her mother. She shows a flyer with Patti performing with Mandy Pantinkin. You probably best know Mandy Patinkin as Inigo Montoya. You killed his father. Prepare to die. 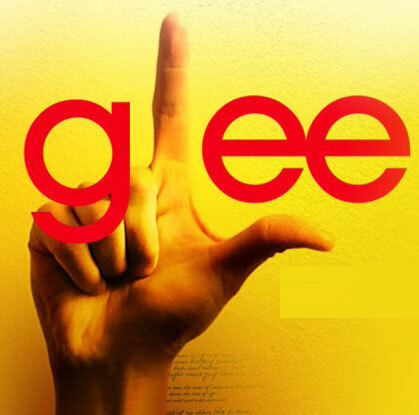 Yes folks, Glee has got Generation X written all over it. Watch for it! See, I think Dr. Chase on House looks just like Westley. Yes, Glee definitely knows that teenagers AND their Gen X parents are their audience. Witness the whole Madonna episode!